Last August, some observers drew comparisons between the fatal shooting of Michael Brown by Officer Darren Wilson in Ferguson, Missouri, and the 1955 murder of Emmett Till. 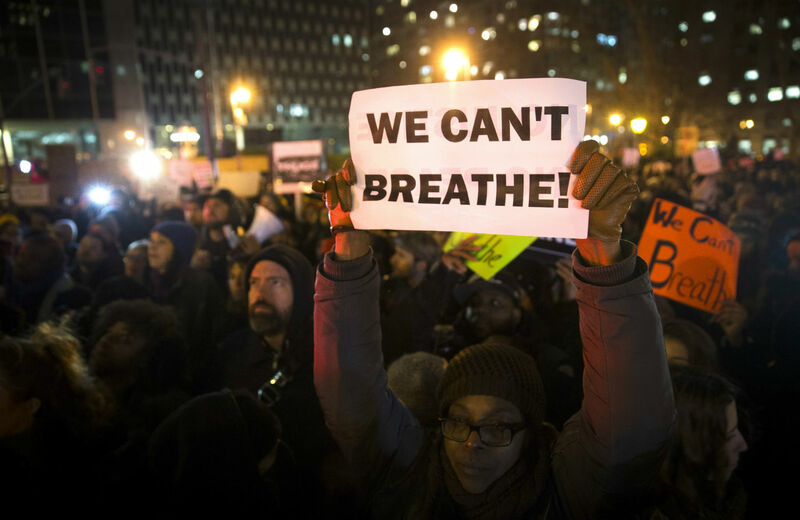 The announcement on December 3 that a Staten Island grand jury had chosen not to indict the policeman who choked Eric Garner to death might indicate that we are closer to 1963—when a series of devastating setbacks and the subsequent widespread outrage transformed the civil rights struggle. There was a perfect storm this past month: the continuing fallout from a grand jury’s decision not to indict Wilson in Ferguson; the identical outcome in the Garner case; a Cleveland newspaper’s efforts to discredit and sling mud at the parents of Tamir Rice, a 12-year-old boy also killed by police. This moment has the potential to catapult change, just as a series of events did eight years after Till’s death. With the killings of Brown, Garner, Rice, unarmed New Yorker Akai Gurley and others, we are all reminded that black life is still devalued, and that police officers are too often treated as if they were above the rule of law. It is all coming so quickly: these announcements that a trial isn’t even necessary to determine a police officer’s guilt or innocence; these exonerations through other means. As a result, people are taking to the streets in Ferguson, New York City, Los Angeles, Atlanta, Boston, Cleveland and beyond. To turn that outrage into progress, we should start to think big. A. Philip Randolph, Bayard Rustin, Ella Baker and other brilliant strategists of yesteryear knew that a successful struggle requires goals, not just reaction. Right now, activists from organizations like Millennial Activists United, the Ohio Students Association, Dream Defenders and Make the Road New York are demanding that the federal government prosecute police officers who kill or abuse people; that independent prosecutors be appointed at the local level and charged with prosecuting officers; and that the Justice Department deny funding to police departments that use excessive force or racial profiling. Several activists met with President Obama on December 1 to push these goals.